An Icon Production. 1995. Director: George Whaley. Music: Peter Best. CD (ST) Roadshow Music. 17143-2. 1995. Includes dialogue from the film. There are two front sleeve designs. 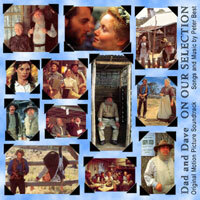 All Music and Songs (words and music) Written, Arranged and Produced by Peter Best. Dialogue by Steele Rudd and George Whaley. 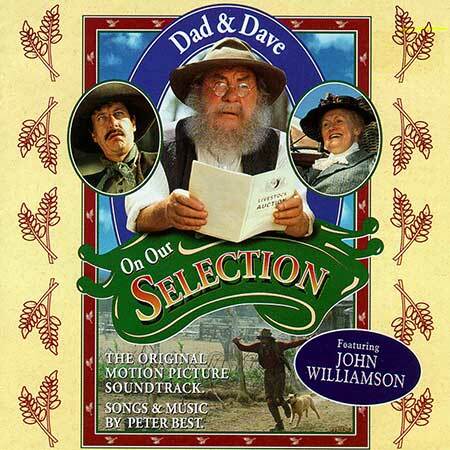 Members Of The Cast Appearing On This Soundtrack: Dad - Leo McKern. Mother - Dame Joan Sutherland. Dave - Geoffrey Rush. Lily - Cathy Campbell. Kate - Essie Davis. Sandy - Murray Bartlett. Sarah - Celia Ireland. Joe - Noah Taylor. Dan - David Field. Dwyer - Ray Barrett. Cranky Jack - Robert Menzies. Peterson - Bruce Venables. Swagman - Frank Whitten. Daley - Hec McMillan. The Bush Band: Louise Blackwell - Vocals. Paul Blackwell - Vocals and Percussion. George Butrumlis - Vocals and Accordian. Tina Harris - Vocals and Bass. Rory O’Donoghue - Vocals and Guitars. George Washingmachine - Vocals, Guitar, Mandolin and violin. John Williamson - appears by courtesy of Gum Leaf Recordings and EMI Music Australia. Additional Musicians: David Armstrong - Percussion. Tom Baker - Tuba. John Barrett - Fife and Piccolo. R. T. Bennington - Keyboards. Gary Frost - Guitars. Doug Gallacher - Drums and Percussion. Glenn Henrich - Piccolo. Alex Hewetson - Double Bass. Marcus Holden - Mandolin and Violin. Mike Jackson - Spoons. David Moyse - Guitars. Terepai Richmond - Drums and Percussion. Additional Vocals: Blazey Best, Jodan Best, R. T. Bennington, Winston and Ella Danby, Kel Dommidge, David Hawkins, Bob Herbager, Andrew Moyes, Sean O’Flaherty, Sue Samson, The Myrniong Country Choir. All tracks recorded and mixed at Braidwood Digital, NSW, Australia on Fairlight MFX3. Recording and mixing engineer David Hemming. Location dialogue recorded by Lloyd Carrick. 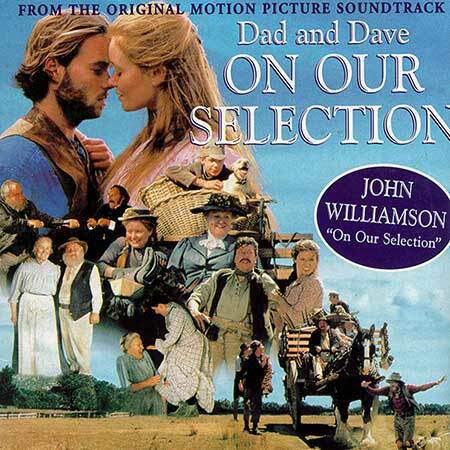 “On Our Selection”. (2:49). John Williamson with The Bush Band. Who’s Dave Seeing? (1:15). The Family. Dave Practices His Dancing. (0:34). “Wouldn’t You Like To Make Hay?”. (1:27). The Bush Band. Conversation Lollies. (1:11). Dave and Lily. “Our Little Bush Home”. (2:27). The Bush Band. Jack Kills His Father. (2:40). Cranky Jack. “When The Ship Comes In”. (1:12). Concertina Version. “My Little Concertina”. (2:45). Duet - Kate and Sandy. “When The Ship Comes In”. (1:56). The Bush Band. “Paddy O’Hehir”. (1:53). The Bush Band. Mrs Peterson’s Bones. (1:37). Dave, Joe, Sarah and the Swagman. What Do Foxes Look Like? (0:39). Dad and Joe. Joe Calculates The Profit. (2:13). The Family. “Country Life”. The Bush Band with Dan. Only 30 Pounds! Mother, Dad and Mr. Peterson. What Does A Farmer Do? (0:31). Mother, Dad and Sarah. “It’s A Glorious Life In The Bush”. (1:33). The Bush Band. The Night We Watched For Wallabies. (1:20). Dad, Dave, Joe and Sarah. “If You Vote For Me”. (1:44). v: John Williamson with The Bush Band. “Champion Of The Ordinary Bloke”. (2:10). The Bush Band. Joe Proposes A Toast. Joe. (0:35). “My Little Concertina”. (3:00). Bridal Waltz - Kate, Sandy and The Bush Band. Finale. (4:19). The Bush Band with John Williamson. CD(s) (ST) Roadshow Music. 1995. Promotional release only. 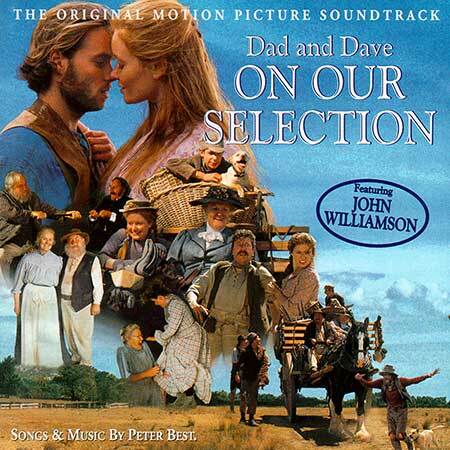 Tk1 “On Our Selection”. (2:49). (Peter Best). (Best Results Pty. Ltd). v: John Williamson. CD(t) (OP) EMI. 7243 8 14804 2 7. 1996. “FAMILY ALBUM NO.2 - JOHN WILLIAMSON”. Tk8 “On Our Selection”. (Peter Best). (Best Results Pty. Ltd). v: John Williamson. CD (ST). 1M1 Records. 1M1CD1028. 2002.